Our home has been consumed by toy clutter. 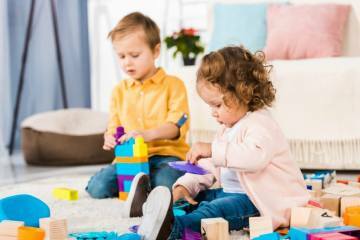 Find out how minimizing and rotating toys creates happier more creative children. In the midnight hours, when we are deep asleep, I am convinced our toy clutter multiplies. LEGO people and pastel coloured doll accessories are what glitter is after doing a craft. Little pieces seem to show up everywhere – in the bathroom, under furniture, and at the bottom of my rain boots when I’m rushing out the door. 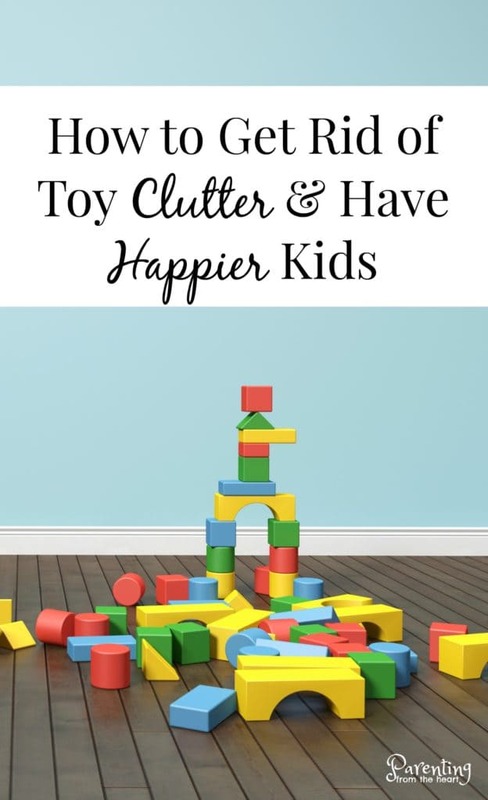 Aside from the fact that there are toys underfoot all the time, my kids don’t appreciate or play with most of what they have. 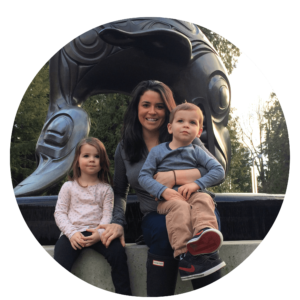 When they go to play, they seem more overwhelmed and unfocused than inspired. So my husband and I held a family meeting. 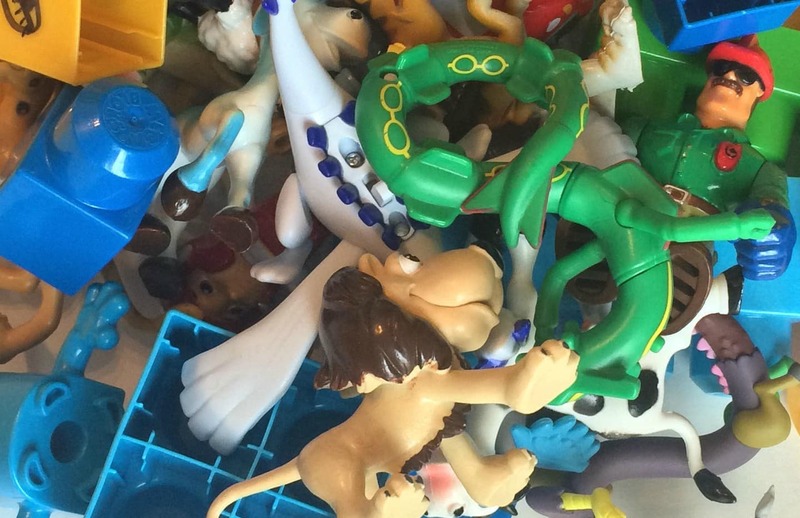 We explained to the kids why we would be getting rid of a lot of their toys. Also, we talked about why we will give them to less fortunate children. Finally, we agreed that, if clean up time rolled around and the kids didn’t clean up their toys, we would put them in a bag to donate. But, we would warn them before they would go in that bag. Since our family meeting, we have donated three garbage bags, consigned a handful of toys, and recycled or threw out countless more. I’m blown away by the difference in our family. My kids play longer. Their play is more elaborate. And, our house feels less stressful because there is less clutter. 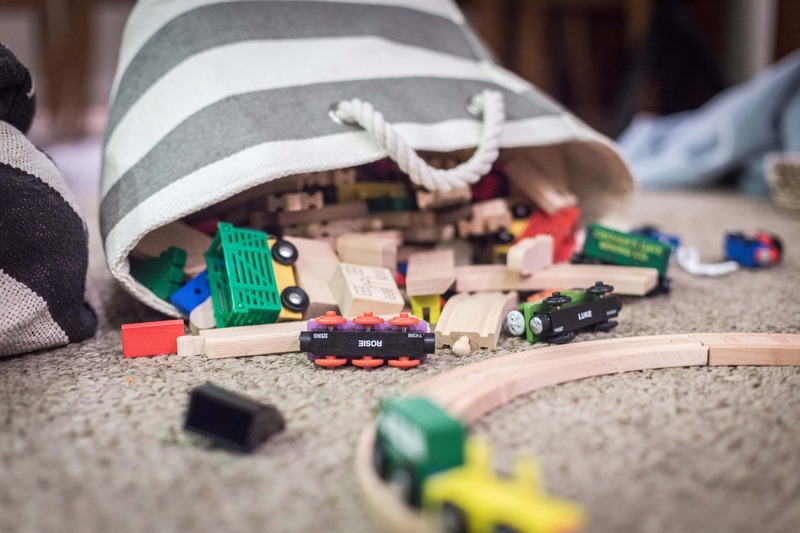 It turns out the benefits of minimizing toys extend beyond our family. For additional reading on minimizing toys and why it’s beneficial, check out these posts below.